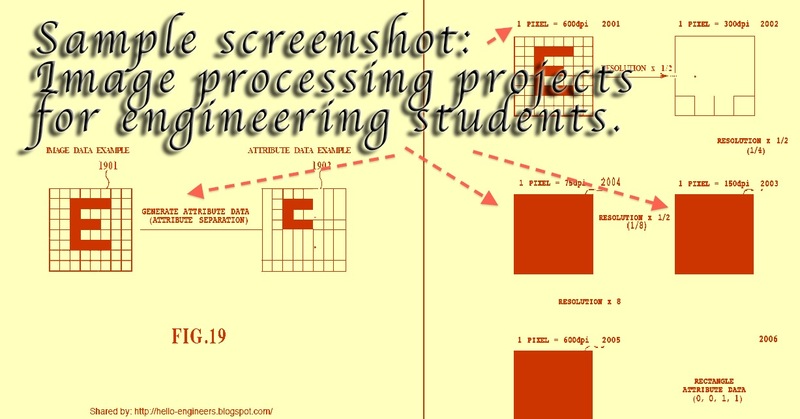 Digital image processing, Engineering projects ~ Engineering projects ideas for final year students & paper presentations collection blog. Title: Device for performing image processing based on the image attribute. Department: Computer science, communication engineering, image processing. Can be used for: Educational presentation, engineering seminars, engineering projects, final year projects and more. Image processing projects is one of the hot topics for the students of the departments like computer science and communication. 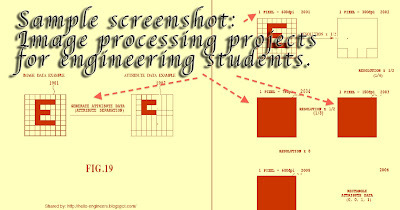 image processing seem so attractive to students basically because of the general nature of this subject. I fount this project on the web which was invented by Tsutomu sakaue. The overview of this project can be given like, This present engineering project on image processing proves an image processing device that evil be able to compress the information volume of attribute data by vectorizing the attribute data. The transmitting device will have a attribute separating unit that will extract the att. data from the original image, a vectorizing unit will vectorize the att. data and transmits the vectorized att. data that was already vectorized by the vectorization processing unit together with the image data .his is receive in the the other end and the data is retrieved by inverting the same process at the receiver end Thus this project works.